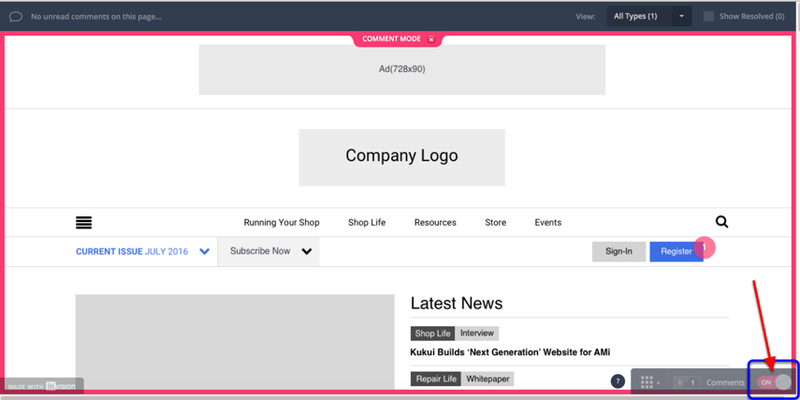 ePublishing Knowledge BaseePublishing Knowledge BaseePublishing Knowledge Base Common Third-Party Plug-in or Partner QuestionsHow do I use comment on an InVision-shared design? Your project manager has sent you some links to review some designs for your site. This article outlines how you can provide feedback on those designs. ePublishing uses a third-party application called InVision App to easily share designs with you. The app allows you to comment directly on the design and share the link with internal stakeholders to get buy-in. When you are ready to provide feedback or have an internal discussion with your own team on what the final feedback should be, follow these steps. Look in the lower right-hand corner for a window that says Comments and a toggle that is switched to OFF. Look in the lower right-hand corner for a window that says Comments and a toggle switched to OFF. Click to turn ON. Watch the InVision App video for other instructions. Click on the ? 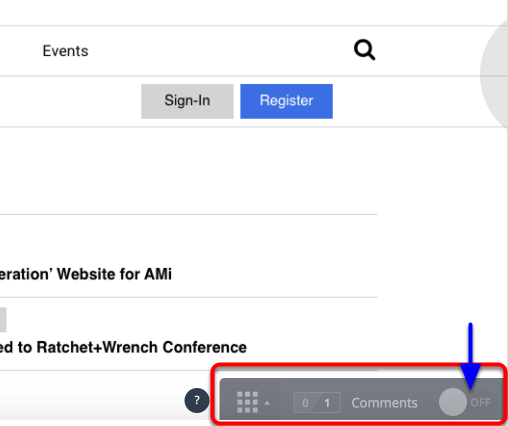 icon next to the Comments box to learn how to best use the application for commenting. When you have collected all final comments from your team on the App, contact your project manager. We'll work through your comments and work on providing an updated version, as needed. If we have any questions on comments to better understand your end goals, we'll reach out via a status call or on InVision. Can you center the navigation? Please move the Industry Topics section to show above the Events calendar and the 300x250 ad position. The Subscribe Callout isn't working for me. The goal is to drive them to a single subscribe action. We don't plan to offer multiple options. Customer service links will be handled elsewhere (footer, maybe?). Prev: How do I turn on Paypal Payflow Pro for my website?